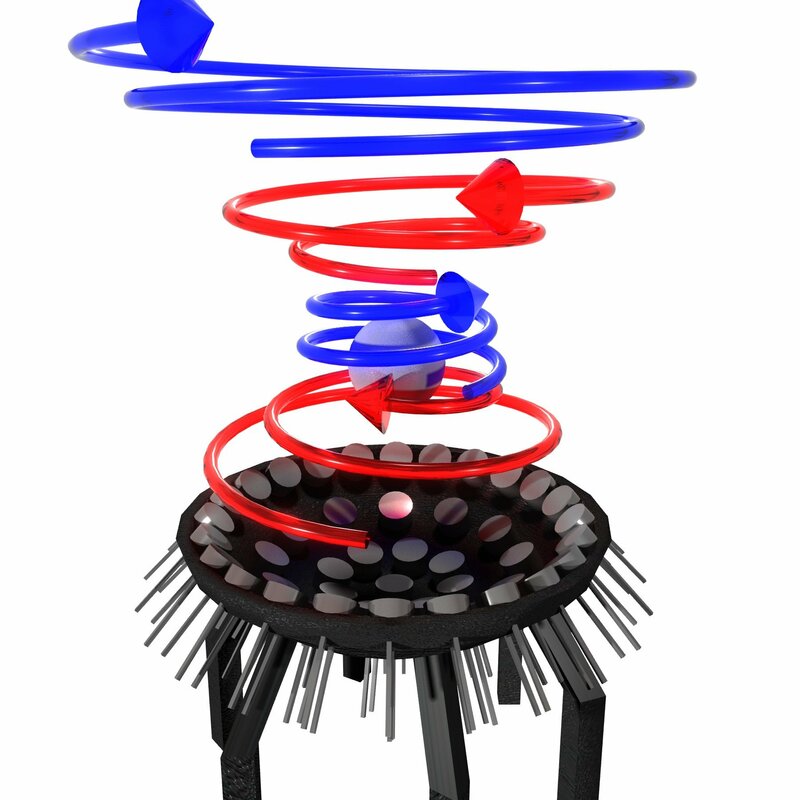 Acoustic tractor beams use the power of sound to hold particles in mid-air, and unlike magnetic levitation, they can grab most solids or liquids. For the first time University of Bristol engineers have shown it is possible to stably trap objects larger than the wavelength of sound in an acoustic tractor beam. Researchers previously thought that acoustic tractor beams were fundamentally limited to levitating small objects as all the previous attempts to trap particles larger than the wavelength had been unstable, with objects spinning uncontrollably. The Bristol researchers discovered that the rate of rotation can be finely controlled by rapidly changing the twisting direction of the vortices, this stabilises the tractor beam. This sphere measures over two acoustic wavelengths in size and is the largest yet trapped in a tractor beam. So the core of the vortex levitating a person is silent. I presume the walls of the vortex are ludicrously loud. But what about outside the walls of the vortex? When an alien space ship abducts somebody by levitating them into the belly of their craft, should the buildings nearby be knocked down by the sonic shockwave? Interesting. Without referring to the technology details is it physically possible to produce white noise to disrupt a sonic “boom ” part of such a technology ?